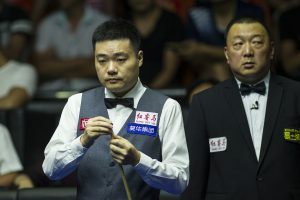 Defending champion and home favourite Ding Junhui crashed out of the Hong Rui Ma Yushan World Open, losing 5-4 to Robert Milkins in the last 32, while Judd Trump, Mark Allen and Neil Robertson were also knocked out. 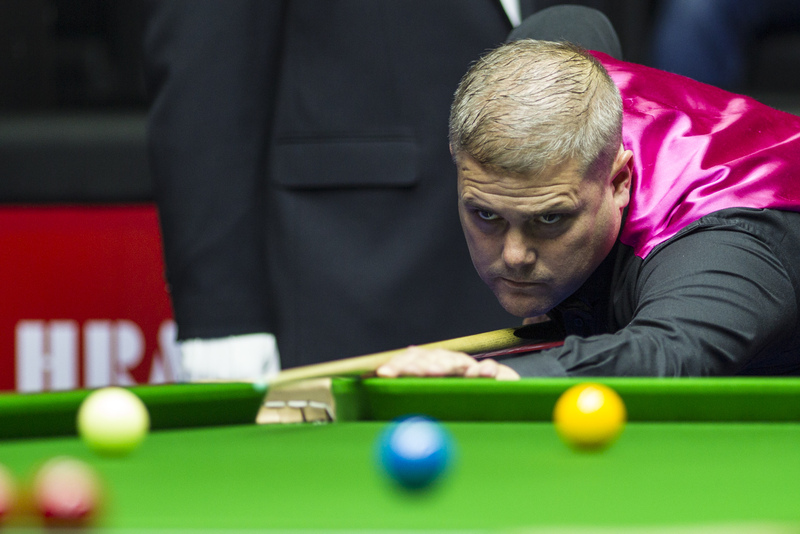 In a dramatic finish with both players making a string of errors, Milkins potted the blue and pink in the deciding frame to go through to the last 16 to face Marco Fu. It’s a disappointing result for Ding and his army of fans although China’s top star was well below his best. He came from 2-0 down to lead 3-2, and later recovered from 4-3 down to win frame eight with a 55, his highest break of the match. Both players had numerous chances in the last frame but when world number six Ding missed the blue to a baulk corner, it proved his last shot. “I’m chuffed to bits because it’s a big tournament with big money and it’s a good scalp,” said world number 33 Milkins. “All through the match we were both terrible, we both lost focus. I thought I had blown it in the last frame because I missed so many balls. I started the match well but it caught me by surprise, the balls Ding was missing. World number five Trump suffered a surprise 5-3 defeat against a player 36 places below him in the rankings, Gary Wilson. Runs of 62, 113 and 112 helped former China Open finalist Wilson build a 3-1 lead. Trump battled back to 3-3 only for his opponent to take the last two frames with top breaks of 40 and 50. Wilson now meets Fergal O’Brien. Jack Lisowski continued his fine run of form as he thrashed Allen 5-1 with top breaks of 67, 77 and 71. Fu built a 4-1 lead over Andrew Higginson with breaks of 97, 118 and 92, and eventually won 5-4 with a 78 in the decider. 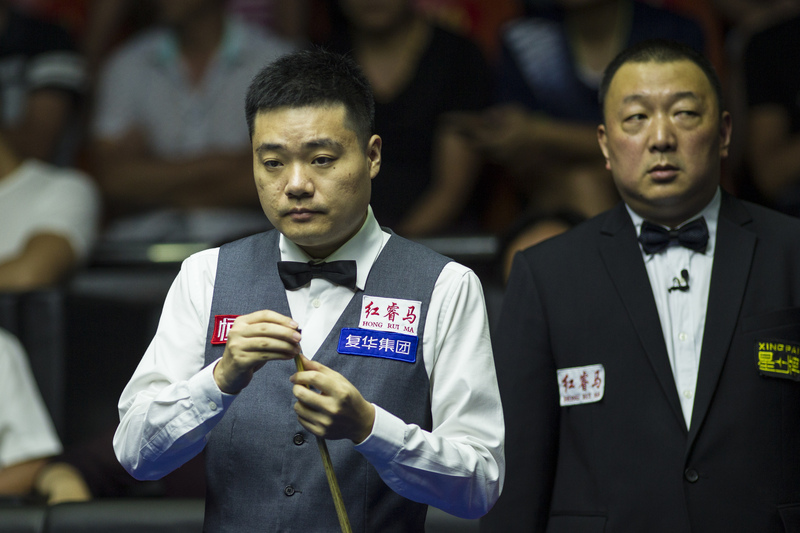 The result keeps alive Fu’s hopes of qualifying for next month’s Shanghai Masters though he will need to reach the semi-finals this week. Click here for that race. Riga Masters champion Robertson saw his perfect start to the season end as he went down 5-3 against Ricky Walden, while Joe Perry edged out Stephen Maguire 5-4, taking the deciding frame by potting the final yellow and green. Barry Hawkins saw off Michael Holt 5-2 with top breaks of 62, 53, 68, 63 and 59 while Matthew Selt top scored with 76 in a 5-3 win over Yan Bingtao.